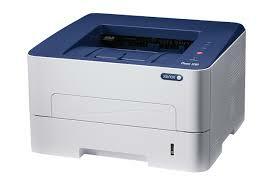 we have SOLD-OUT Xerox Phaser 3260 DNI laser printer(s) in stock. Price of printer may higher when next shipment arrives. NOTE: We have MICR toner cartridges in stock for this & other Xerox printers. LOWEST PRICE ANYWHERE while supply lasts. Find lower price within 180 days, we refund difference + 20%! Simply touch your cell phone (NFC equipped) to NFC tag on printer & it prints! Print more checks or other documents when used with our Max-Filled MICR toner Cartridges. • Our MICR toner for Xerox 3260 DNI CAN be used to print like regular Xerox 3260 DNI toner. Print checks for pennies ! IMPORTANT: These are brand new printers in original factory cartons. Price shown is discounted price when paying by ChecksNet (check by phone or web). No rebate forms to mail. BEWARE: Some retailers sell refurbished printers and/or sometimes takes over 3 1/2 months to get mail-in rebates. Already have a Xerox printer? Order a cartridge. We have them in stock for immediate delivery. We can also supply MICR cartridges for most Samsung, Hp, Dell, Okidata, Lexmark, IBM and Canon laser printers. Just Email your make & model and we'll promptly quote you a price. ©2019 Glenn Welt All rights reserved. All tradenames & logos properties of respective owners.